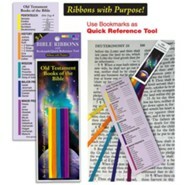 Ribbon bookmark set with a different color to mark each section of the New Testament for easy and quick reference. 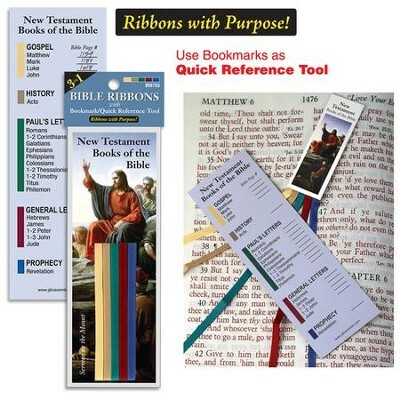 Bookmark also lists each individual book with space to write the corresponding page number, a fantastic tool for fast reference during sermons and personal study. 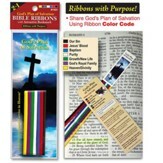 I'm the author/artist and I want to review Bible Ribbons Bookmark, New Testament.